What is the BTS Mini ARMY fanclub? We are a group of kids who love BTS and want to encourage our oppas and hyungnims through fun videos and projects. 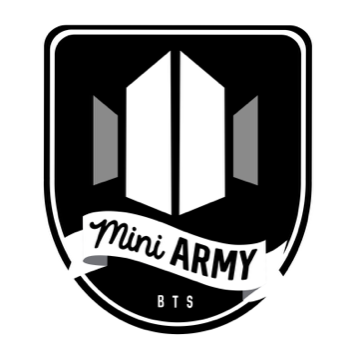 We collaborate with kids from all over the world so if you have a little one who loves BTS he/she can join our Mini ARMY! Fill out the application below and your little ARMY will receive a Mini ARMY Fanclub membership card. The next time we have a project you will be informed by email. Participation is not required, only when you feel up to it! If you would like a BTS Mini ARMY T-shirt they are available for purchase at Baby Bangtan’s Etsy Shop. Membership card is Free to the first 100 applicants. Let’s continue to support our boys and have fun together! ** THESE TERMS AND CONDITIONS ARE SUBJECT TO CHANGE WITHOUT NOTICE, FROM TIME TO TIME IN OUR SOLE DISCRETION. ** For Adults who have requested to join, we are offering Honorary Adult Memberships! Please fill out the application here.